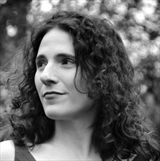 Anne Ursu is the author of Breadcrumbs, named one of the best books of 2011 by School Library Journal, Publishers Weekly, Amazon, and the Chicago Public Library; and The Real Boy, which was a National Book Award Longlistee and one of the New York Public Library’s 100 Titles for Reading and Sharing. She is also the author of the Cronus Chronicles series. The recipient of the 2013 McKnight Fellowship Award in Children’s Literature, Anne also teaches at Hamline University’s MFA in Writing for Children and Young Adults. She lives in Minneapolis with her son and four cats. You can visit her online at www.anneursu.com. 1. 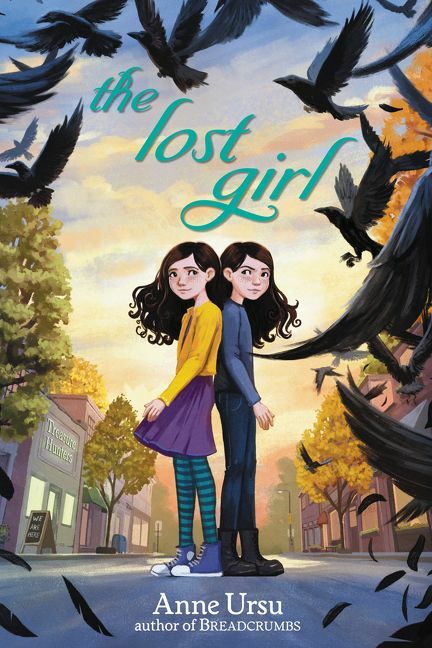 “The girls were identical, but not the same.” (p. 1) As you read, track the characteristics of Iris and Lark. In what ways are the girls the same? What are the traits and qualities that make them different from one another? How do the girls’ differences make them compatible as a pair? 2. Who is the narrator of this story, and what is the narrator’s point of view? How would this story be different if it were told in first person, or from the point of view of one twin or the other? From another character’s point of view? 3. When Iris and Lark receive their letters with their 5th grade class assignments (pp. 19-24), they are shocked to discover they are in different classes for the first time. Not only that: this decision was made without their knowledge or consent. In the girls’ conversation with their parents, Iris asserts that her parents should have involved them in the decision. Are the twins more upset with the decision for them to be in separate classrooms or that the adults made this decision without them? 4. In what ways have Lark’s medical conditions (complications from her premature birth, pp. 25-27; hospitalized with meningitis, pp. 157-160) impacted the girls’ relationship? 5. Chapter Seven, “Report Cards,” (pp. 49-51) presents a history of observations of Lark and Iris made by previous teachers. What do those observations say about how each girl is doing on her own? In what ways is it in the girls’ best interest to be in different classes for fifth grade? In what ways might it have been in their best interest to be in the same classroom? 6. Consider the theme of something being lost as it relates to this book (lost objects, lost artwork) and its title (The Lost Girl). What is the relationship between something being lost and something going missing? Between something being lost and being stolen? 7. What do crows symbolize in this story? In what ways are they a good fit for this story, its characters, plot, and genre? 8. What is Iris’s greatest struggle in the transition to separate classrooms and separate activities? What does she discover about herself when she begins to attend Camp Awesome as an individual? 9. The term “monster” (or a variation) is used repeatedly throughout the story as a metaphor. While the girls’ play and conversations make it clear they are describing imaginary monsters, in what ways are the metaphors real to them? 10. “My girl. I love how you take care of your sister. You are so brave and loving. But don’t forget to take care of yourself, too.” (p. 199) What message is Mom trying to deliver to Iris? In what ways has Iris lost sight of herself? 13. How does Iris change as she makes more visits to Treasure Hunters? Why does she share less and less of herself and her experiences with Lark? 14. Among the other things Alice scrawled in the pages of the book Iris found at Treasure Hunters is the statement: “Magic has a cost.” (p. 226) What does this mean? What are some instances or examples of characters paying a high price for magic in other stories? 15. Abigail teaches the Camp Awesome girls that it is okay for girls to be loud, and even to stomp. (p. 234-235) Think of people you know who set awesome examples and/or who are leaders. Are they “stompers?” Do you have to be a stomper to make noise or be heard? Are you a stomper? Without Lark, Iris does not think she can be a stomper. “If Lark had been there, Iris would have had no trouble stomping; she could have made enough noise for her and Lark both.” (p. 235) In what ways is it easier to stomp and make noise when you have others to stomp with? 16. What happens between Lark and Iris over Lark’s astronomy project? (pp. 250-262) Does Iris handle the situation well? What could she have done differently? Why do her choices upset Lark? 18. Iris discovers Mr. Green’s manor is full of unique and prized possessions. Why has Mr. Green collected all these things? Explore the idea that having desirable possessions gives one a feeling of power. Does Mr. Green perceive himself as powerful? Why or why not? 19. To what extent are Mr. Green’s motives to help Iris good-natured? To what extent are they self-serving? How and why does Mr. Green play to Iris’s vulnerabilities? 20. How has our understanding of the story been shaped by the narrator’s presentation of Iris’s side of the story? What parts of the story do you think Lark would portray in a similar way? What parts would be different told from Lark’s side of the story? 21. Who is Alice, and what is her role in the story? The two sisters were alike in every way, except for all the ways that they were different. Iris and Lark Maguire were identical twins, and people who only looked at the surface of things could not tell them apart. Same long bushy black hair, same pale skin, same smattering of freckles around the cheeks, same bright hazel eyes and open face. Because the girls were identical, but not the same. Iris was the one who always knew where she’d left her shoes. Iris was the one who could tell you what the collective nouns were for different animals and that Minnesota was home to the world’s largest ball of twine. Iris always knew when her library books were due. Lark always knew when their parents had been argu- ing. Lark could tell you what the consequences for stealing were in different fairy tales, and that the best bad guys had interesting backstories. Lark always knew which books she wanted to check out from the library next. No, they were not the same. But Iris always knew when Lark was feeling too anxious to speak in class, and Lark always knew when Iris’s anger was getting the better of her. Iris always knew when Lark was too busy daydreaming to pay attention, and Lark always knew when Iris was too reliant on finding order when things were in chaos. Iris talked for Lark. Lark talked down Iris. This is the way it was. No, they were not the same. But yes, they were twin sisters, and for Iris and Lark that meant something, something far deeper than what lay at the surface. They each knew the monsters that haunted the shadowy parts of the other’s mind, and they knew how to fight those monsters. That was the remarkable part, if you asked Iris and Lark. Though no one ever did. Instead strangers treated them like a spectacle. People on the street stared at them openly, sometimes pointed and whispered, as if their surfaces were all that they were. As if the girls were just something to be seen and not actual human people and would not notice. The girls always noticed. And when I saw them, I stared too. I could not help it. (Though they did not notice me.) But not because they looked identical. I stared at them because I can see beneath the surface of things. I stared at them because I wanted to know their story. And maybe because, somehow, I sensed how it would end. This is a story of a sign and a store. Of a key. Of crows and shiny things. Of magic. Of bad decisions made from good intentions. Of bad guys with bad intentions. Of collective nouns, fairy tales, and backstories. But most of all this is a story of the two sisters, and what they did when the monsters really came. I first noticed them on a hot August afternoon. In Minnesota, winter was just two months away, and soon the more sensitive birds would begin the long journey south. But today, summer reigned. The sun stretched its beams across the sky and discarded change glistened on the sidewalk. Here in the shop-lined streets of this Minneapolis neighborhood, people fled for the air-conditioned stores and the comfort of the library carrying sweating plastic cups from the local coffee house. And the two sisters came out of the library, clutching glossy books to their chests. Lark was wearing a bright pink T-shirt with Captain Marvel on it and one in a series of her wide collection of striped leggings, Iris a light blue tank top over white shorts. Both stopped on the top step, the air admonishing them for going outside in this heat. “Ooof,” said Lark. “I told you to wear shorts,” said Iris, twisting her long hair into a bun. The back of her neck felt like a science experiment gone very wrong. “You’re wearing shorts and you’re still hot.” “Yeah, but I’m less hot than you.” Lark looked at her meaningfully. “How do you know?” Iris’s lips smooshed together. She didn’t know, for sure. She couldn’t tabulate the degree to which she felt hot and compare it to Lark’s. All she knew was that the idea of put- ting on leggings today made her feel like a snake whose skin was on too tight. But before she could respond Lark was onto something else.“What time is it?” she asked, looking around. “About three thirty.” Even without a watch Iris generally knew what time it was, as Iris tended to look at the clock a lot, as she had done before they left the library. Everything felt better when you knew what time it was. Sixty seconds in a minute, sixty minutes in an hour. There was always order, if you knew where to look. And Lark didn’t need to look at the clock, because she had Iris. “Do you think the mail’s there yet?” “It’s usually there by four,” Iris said with a shrug. They’d had this conversation several times already today, but some- times—Iris knew—Lark needed to say certain things, and she needed to have certain things said back to her. There was no harm in that. Iris had figured out that school placement letters were probably coming today—they always came on the Tuesday three weeks before school started. Iris tended to notice that kind of thing. And it was the Tuesday three weeks before school started. This was their last year at Barnhill Elementary. Next year would be sixth grade, and everything would change. They’d have homerooms and class schedules and already Iris was concerned. What if they had some different classes? That was the sort of thing adults did while you weren’t paying attention. But that was next year. This year’s worry was at least a familiar one: Which teacher would they get? Ms. Shonubi was their first choice, of course, because she was angelic. And all the other options were terrible: the extremely tall, extremely grave-looking Mr. Miller; Mrs. Scott, who was rumored to tell girls to act ladylike, whatever that meant; and a new teacher, a replacement for Ms. Urban who had left the school and moved to Paris to become a concert pianist. Lark was scared of Mr. Miller, who she said looked some- thing like a haunted tree in person form. And Iris had once been told by a random woman in the grocery store that she should be more ladylike and had not liked it much. Ladylike sounded an awful lot like Be nice and Be quiet and Smile more and Stop arguing and I thought girls were made of sugar and spice and everything nice, which someone in a grocery store had said to her once too. So they worried about their teacher. And of course they worried about who was in their class with them. Or, more specifically, if Tommy Whedon was in their class.Tommy Whedon had been Iris’s archnemesis ever since he’d made fun of Lark during a class presentation last year, and Lark still couldn’t be around him without flushing. But if he was there, Iris would protect Lark, same as she always did. Ladylike or not. “I don’t think I want to get home till after the mail comes,” Lark said, shifting. “Okay. What should we do?” In a blink, Lark straightened and squeezed her arm. “Let’s go see what that’s all about!” she said, voice hushed, as if she’d come upon a great secret. “What?” Iris looked around. “That,” Lark said, pointing across the street. The sign sat on the sidewalk outside the darkened storefront of a new shop that had not yet opened its doors to customers. That much Lark knew. I knew quite a bit more. The sign had appeared on the sidewalk a few weeks before the shop would open, as it did every time. It proclaimed We Are Here, every time. And that was all. No indication of exactly who the we of the sign referred to, let alone what this shop was going to sell. A weird way to advertise a new business, passersby agreed. But the message on the easel was not meant for them. A week later, the shop’s name had gone up above the front door—Treasure Hunters—and its slogan was etched on the window: We Can Find Anything. They, too, were the same every time. We are here. We are hunters. We can find anything. So the store stood now, as the girls noticed it for the first time. Treasure Hunters. We Are Here. Iris herself was not inclined to look for the story in things, but she knew Lark was, and she was always happy to go along, especially if it meant Lark was distracted from fretting about class assignments. So Lark pulled her across the street, chasing the threads of a story. Still, Iris was curious. It wasn’t often that there was a new store in their Minneapolis neighborhood. Since the Maguire family had moved there, every storefront lining Upton Avenue had remained the same except this one. And this one had changed quite a bit. In the girls’ memory it had been home to stores that sold hardware, new age parapher- nalia, kids’ shoes, overly pungent coffee beans, and, most recently, less pungent flowers. But most of these stores went out of business in less than a year—especially the new age one, which lasted one week before the shop owner burned incense all around the building and left it as it stood, and the florist, because the flowers kept dying. “Some locations are just cursed,” their mother had said by way of explanation, as if that explained anything at all, as if that wasn’t like opening up a giant box bursting with questions and pretending they weren’t all now flying loose and hungry in the air. Their mother was certainly right—some locations are cursed—though the truth of this particular place was some- what different. “I just want to see what’s inside,” said Lark. “We can peek in the window. And this way we won’t have to talk to any- one.”Lark spent a lot of her life avoiding having to talk to people. She never understood the admonition not to talk to strangers—why would anyone want to in the first place? It was fine: Iris could talk for her. Iris knew that a store in her Minneapolis neighborhood was not going to be selling actual found treasure, and that the new shop was certainly something boring like kitchen stuff or lamps or something else old people considered treasure, and she knew that Lark was perfectly aware of this fact as well—but she also knew that some part of her sister allowed herself to hope the store would be filled with the contents of some recently uncovered safe from the wreckage of the Titanic. That was Lark for you. “It’s antiques,” Lark said, peering in the window. “Boring,” said Iris, leaning against the wall and shading her eyes. The sun felt like it was actively trying to burn out her eyeballs. Iris shrugged. She was not ready to comment on the relative weirdness of people who sold used chairs and old teapots and called them treasure. Lark shook her head tragically. “So careless, Iris. Losing your sister like that. You should really keep better track of her.”Before Iris could respond, she was interrupted by the sound of tinkling bells, and the shop door swung open to reveal a man in a buttoned-up mustard-yellow cardigan and plaid bow tie. Lark stiffened; he seemed to intend to talk to them. Iris touched her arm. I’ll take care of it. He was short and roundish, like a snowman that had melted slightly, with skin the color of mashed potatoes, and yellowish hair shellacked onto his skull. His face reminded Iris of a mole. “May I help you ladies?” he said, and then stopped and gaped at them. Iris sighed and exchanged a glance with her sister. Here it comes. “You’re twins!” he exclaimed. Yes. “You look exactly alike!” Yes. If you weren’t looking carefully. There were subtle differences, of course. Iris stood a little taller. Lark hugged herself a lot. Iris’s hair was usually neater, relatively. Lark was always in brighter colors, and always wore her silver bracelet with the small moon charm on her left wrist. “How remarkable! A matching set!” It is not always possible to say the thing you want to say to your sister out loud, and so a few years earlier the girls had devised a code where they could tap messages to each other with their fingers. Now, as the mole-faced man in the mustard cardigan gaped at them, Iris folded one arm over the other and tapped out, Should we tell him? I’m not here, Lark tapped back. Iris clamped her mouth shut. Telling him there was nothing remarkable at all about identical twins if you knew anything about biology was not nice and the sort of thing that meant people told you to be more ladylike. “That’s okay,” Iris said. “We were just curious what the store was.” She had to do the talking, since Lark was not there. Next to her, Lark coughed slightly. Iris. Don’t irritate the weird man. Iris blinked. “. . . Yeah?” A grin crept slowly across his mashed-potato face. “So do I.” And then he winked, as if he had answered the question, as if he had answered it so well and cleverly that they would find him utterly delightful, that they would be charmed by his wink and perhaps even wink back at him, like people who understood each other do. An elbow in Iris’s side. Lark. “We have to go home now!” said Iris brightly. “Pleasure talking to you!” He leaned forward. “You girls take care of each other. A matching set is quite collectible, you know!” And he let out some chuffing sound, and Iris did everything in her power not to look at her sister and she knew her sister was doing everything in her power not to look at her, because the girls knew that you were absolutely not supposed to exchange what a weirdo glances with your sister while said weirdo was looking right at you, even if you very very much wanted to. They did not look at each other while he disappeared back into the store, door chimes singing, or while they crossed the street back to the library, where their bikes were parked, or while they tucked their library books into their backpacks and unchained the bikes. But when they mounted the bikes, Iris’s eyes caught Lark’s. Lark’s eyes went big, as if to take in the great magnitude of the weirdness they’d just experienced; then her mouth twitched, and the whole right side of her face squished together in a showy wink. As they rode away, Iris let out the laugh she’d been sup- pressing, and Lark laughed too, and the sound seemed to release something into the air, like a flock of birds bursting up from the ground and filling the sky. Five years ago, I started writing a book about Iris and Lark, two eleven-year-old identical twins who were separated in school for the first time. The book had a lot of false starts—on the cutting room floor lie, for example, allegorical allusions to the tale of Bluebeard, an entire multiverse, and a dragon. I knew I was trying to write about a bond between two girls that the adults around them didn’t understand, but I couldn’t find the story. Over the past two years, the issue of how our society treats girls has been heavily on my mind. I’ve been thinking about the ways in which growing up in a patriarchal society disempowers girls bit by bit; how they get undermined in ways small and large, intimate and epic. And I’ve been thinking about how girls give one another strength, how they provide one another protection and support, how important girls’ relationships with one another are. And lots of other things have been dinging around in my mind too—art theft, magical birds, fairy tales, cats that travel through clocks, and random facts about Presidential Pets. And out of all of that came Iris and Lark’s story. is a terrible thing. But there are more subtle forms of power too, and this book is about the subversive force of female friendship and how the bonds between girls are magic.